I love apéritif wines. Byrrh, Lillet, Dubonnet, Cocchi, you name ’em, I’ll drink ’em. These complex, Continental concoctions are wonderful on their own — or with a wedge of citrus and some soda, a universal truth of drinking — but sipping a tall, cold glass of quinine-tinged wine on a lazy afternoon sometimes feels just a little too…simple. And when evening rolls around and the pre-dinner snacks pop their heads in the door for a visit, well, by then you’re feeling the need for something more complex and bracing to liven things up before the final meal of the day. Plus, that bottle of apéritif you opened that afternoon has entered the next phase of its life cycle — refrigeration — and you’ve got about two weeks before it starts going funky. The solution is relatively simple: mix that aperitif in a cocktail. Still, there remains a tendency to default to the old standards — the Corpse Reviver (a lot of work) or the Tip Top for Lillet, the Dubonnet Cocktail, the Phoebe Snow, Byrrh Cocktails, or maybe modified Martinis. All wonderful, but if you’re making that one drink for a week or two, trying to use up that apéritif wine, things can get a bit dull. Stir with ice and strain into a cocktail glass. Garnish with a maraschino cherry, if you like. **Difficult to find a substitute; Bitter Truth Aromatic Bitters are probably closest, or perhaps Boker’s. As with most cocktails, experimentation starts with substitution: swapping out one ingredient for a similar one that you’re bent on incorporating into a drink. 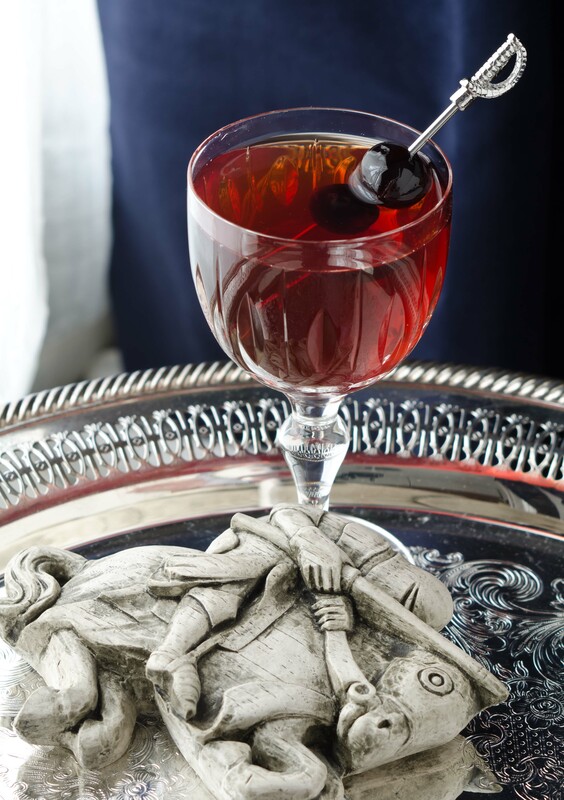 In the case of aperitifs, I like to use Jamie Boudreau’s “Golden Ratio” — 1-1/2 ounces of spirit, 3/4 ounce of fortified wine, 1/4 ounce of sweetener or liqueur, and — perhaps — a dash or two of bitters. The formula results in something that’s more complex than your standard Manhattan/Martini formula (which usually omits a sweetener) and gives you a trio of ingredients whose flavors can play off one another. Rye Whiskey: This was the most difficult component to nail down — not the category itself, but the bottle. Some ryes I tested were too subtle or too mellow (Templeton, Sazerac), too strong (Rittenhouse), or too unique and uncooperative (Whistlepig, Catoctin Creek). In short, you want something with that distinctive rye spiciness, with a fair amount of wood and a middle-of-the-road approach to flavor that compliments the sometimes-subtle Byrrh and Yvette. High West Double Rye surprised me, in this respect — it’s not normally one of my favorites in spirit-forward drinks, but it’s somewhat brash, oaky, and young, and works very well here. It will certainly be easier to find across the country than 13th Colony Southern Rye, my other prime choice, whose distribution is largely limited to the South — it’s a lovely, deep hue with a deep, woodsy flavor, heavy on cinnamon. Byrrh: I would like to see this in more cocktails. I suspect its disuse is due to its somewhat un-American flavor profile, which includes a sizable, but not overwhelming, dose of quinine and funky flavors of aged fruit. As I discussed in the intro, Byrrh was the primary motivation behind creating the Chevalier — I figured it would combine well with the fruity, grassy notes typical of rye whiskey. 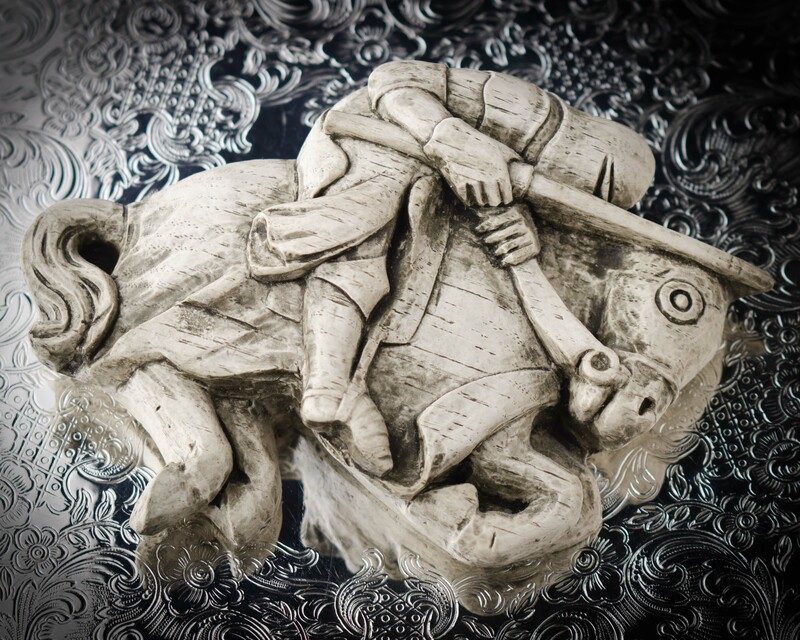 If Byrrh lacks one thing, it’s edge, or “cut,” as I call it — the whiskey and bitters restore some of that. 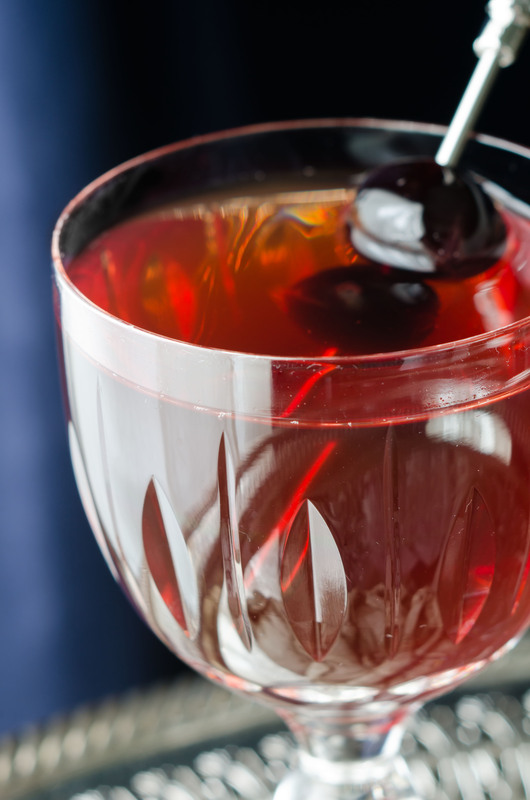 Byrrh can be tricky to find — if you must, substitute the sweeter, less complex Dubonnet Rouge. Crème Yvette: Another under-utilized ingredient with few established recipes, which is why I throw it into many of my experiments. The modern incarnation is anything but a substitute for Crème de Violette — it’s not nearly as floral (or “soapy”), it’s color is closer to fuchsia, and the flavor includes a fair dose of berries, citrus, and vanilla along with the violets. Sure, mix it into your Blue Moon or Aviation, but the result will be completely unlike the violette version. Again, in the Chevalier, it’s all about bringing the fruit to the forefront. Bolivar Bitters: I tried out several aromatic bitters here, but they were all too potent, too heavy on angostura bark and spice, and they tended to take over the drink. Byrrh and Yvette are rather subtle, and I wasn’t going full-bore with a bottle of Rittenhouse Rye, so milder bitters were needed to give a bit of edge back to the cocktail and pull out some of the spice. Bolivar Bitters — by Bittercube, out of Milwaukee — fit the bill: the cassia fits with the rye, the dried fruit works wells with the rye and Byrrh, and the chamomile meshes nicely with the Yvette. Oh, I also tried out Lavender (too floral), New England Bitters (too tart), and cinnamon tincture (too simple). PS: There already exists a drink named the Chevalier, which is basically a Sidecar with bitters…perhaps mine would be a Chevalier No. 2, but the two are completely unrelated. It’s too good a name to pass up, and who orders the Chevalier nowadays, anyway? 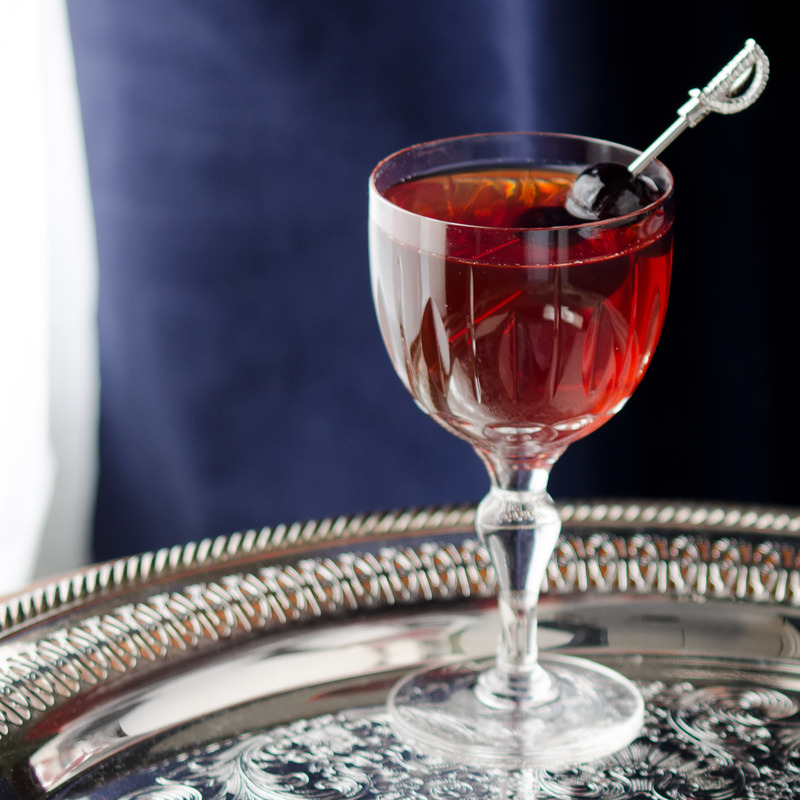 This entry was posted on March 29, 2014 by IJ Lauer in Bolivar Bitters, Byrrh, Creme Yvette, Drink Recipe, Original Drinks, Rye, Whiskey and tagged bolivar bitters, Byrrh Cocktails, chevalier, cocktail, Crème Yvette, recipe, rye whiskey.